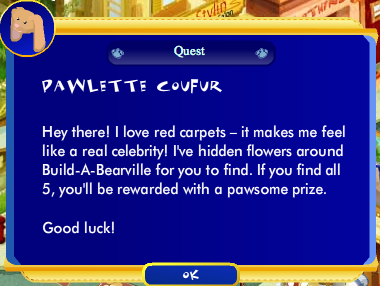 Be sure and stop by the Fashion District and check out Pawlette Coufur! She’s all dressed up and ready for the red carpet. Click on her to begin her new quest. 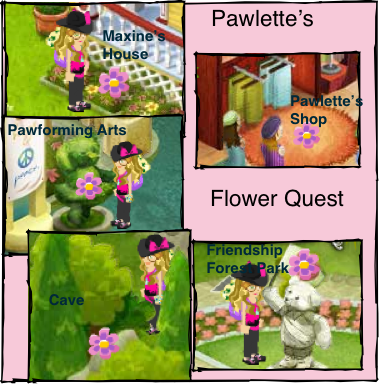 She’s hidden five (5) flowers all around Buildabearville. 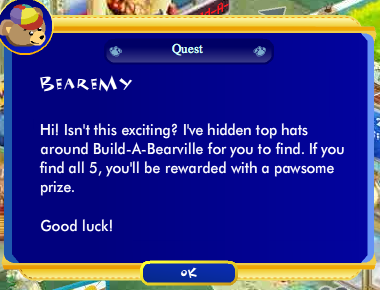 Find them all for a pawsome prize!! 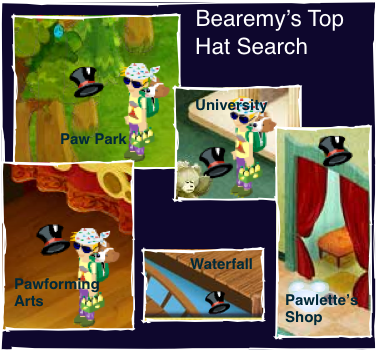 Bearemy’s all dressed up in a fancy tux and top hat too! Visit him in Town Square, click on him to begin his quest! Step onto the Red Carpet and wave to all the paparazzi! On your way to the theater to preview the new Nintendo DS and Wii Buildabear games grab a few snacks! Click on all the food on the table and fill yourself up. Pay special attention to the photographer who says “get your picture here”, he’ll snap a photo of you for your very own cub condo poster that you can keep for 200 bear bills.